Candidate for Veneers - do you qualify for dental veneers? Porcelain veneers have widespread appeal because they are what some might consider the universal cosmetic dentistry solution. Veneers are capable of covering up a variety of cosmetic complaints. And, because they are long-lasting, durable, and natural-looking, veneers are the weapon of choice for many a smile makeover patient. You too might just be a good candidate for porcelain veneers. If you look at photos of celebrities taken before they were famous, you will discover that plenty of them had very different teeth. Gapped teeth, chipped teeth, misaligned teeth. Where did their gleaming white, perfect smiles come from? Plenty of them were good candidates for veneers. If you have one or more of the aforementioned cosmetic complaints, it is worth your while to have a conversation with your cosmetic dentist to determine if you are indeed a good candidate for veneers. He or she will determine if, foundationally and functionally, veneers are the best option to help you achieve the smile you want. Since veneers are so durable, you’re unlikely to ever experience the same problems that had you seeking out veneers in the first place. Veneers are resistant to stains, and even though they’re incredibly thin they’re also incredibly strong, lasting for up to 15 years or more. This durability makes them far more resistant to chips and cracks (unless of course you’re making the unwise choice to use your teeth to open packages or bottles). There is no one-size-fits-all for porcelain veneers, or for a candidate for veneers – and that’s a good thing. Veneers are custom-made to suit each individual, which is another reason they are such a popular cosmetic dentistry treatment. Every recipient of veneers can be assured that the porcelain being bonded to their teeth was designed especially for their mouth. Done right, veneers are flattering and completely natural looking. While veneers work the same way for every patient – whisper-thin porcelain that is bonded to the front of your teeth to cloak any imperfections – the goal of course is to create a smile that looks and feels natural, so that even you will forget that it isn’t the smile you were born with. Your cosmetic dentist knows you best, and he or she will review your dental history and evaluate your current cosmetic complaints in order to decide whether you are a candidate for veneers or another type of cosmetic or restorative dentistry solution. 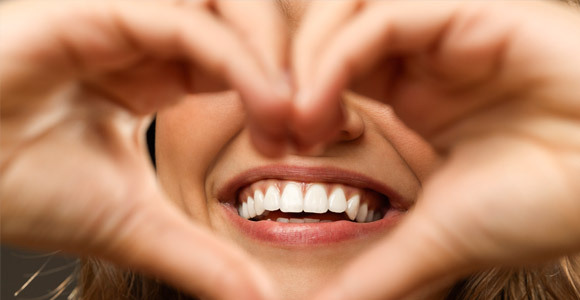 Make your appointment with Dr. Ken Cirka, Dr. Jessica Meier, Dr. Mimi Jeon and Dr. Stephanie Smith at Philadelphia Dentistry to find out more about whether you’re an ideal candidate for veneers.